Thirty years ago Airbus Defence and Space stepped up with their satellite tasking services—unique at that time they provided support in a variety of services ranging from map updates, emergency response and land use analysis to mission planning and long-term asset monitoring. Today, with One Tasking, Airbus Defence and Space is resetting the bar where cloud cover and other environmental factors can too often reduce the extractable value from the resulting imagery. This service makes satellite imagery acquisition and distribution much easier for the client, is intuitive and cost-effective and can be conducted from their desk. With 254/7/365 access to Airbus Defence and Space’s high-resolution and wide-swath satellite sensors. A team of in-house experts capture any requested area on time and in line with the customer’s requirements. OneDay: Risk-free imagery acquisition for a specific day. Weather forecast will be sent 24 hours before the acquisition date, enabling customers to confirm, postpone or even cancel a tasking request, at no cost. OneNow: Immediate and useful imagery in an instant. 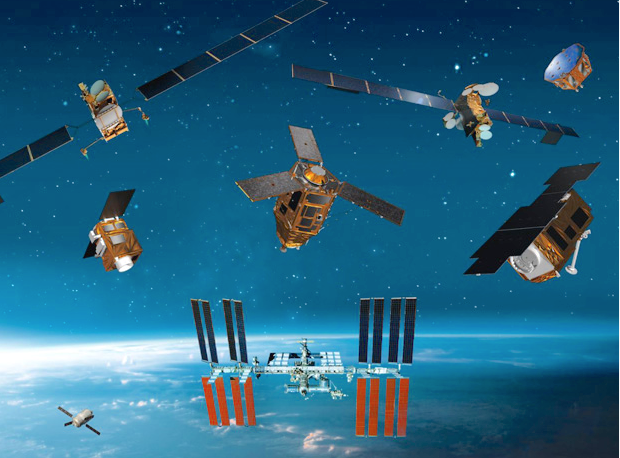 Satellites are tasked to deliver valuable insights in the shortest possible timeframe. OnePlan: Qualified coverage within an agreed timeframe. The qualified coverage is agreed and delivered according to customer selected timeframes and dates to meet specific project milestones. Imagery is acquired and delivered on a regular basis to monitor long-term changes or highly dynamic situations.